All of us dream of having a beautiful home with lovely colours. 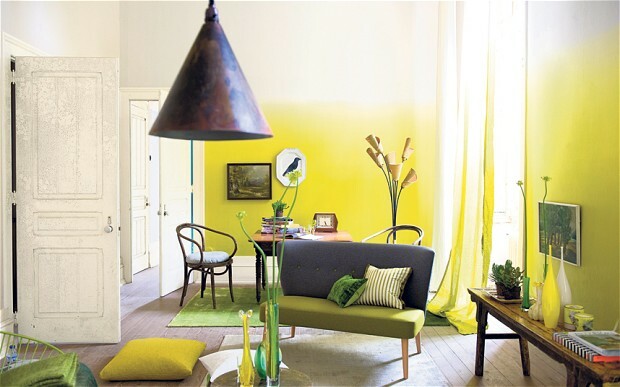 While some prefer bright and fresh colours, there are others who go for a sober look. Whatever the case be, there is great fun is interior decoration be it deciding the colours, the furniture, the show pieces and so on and so forth. And this is where Bed Bath More is doing a great job in letting you design your house step by step. 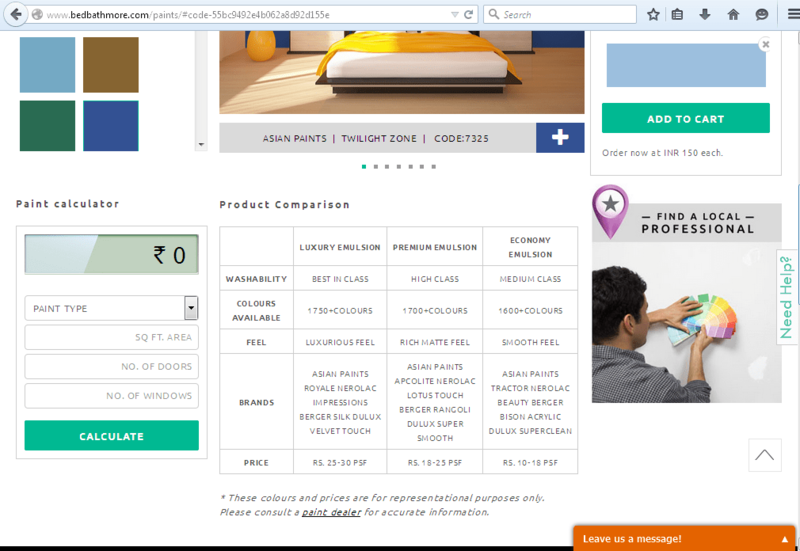 Firstly, you need to choose the right theme for your house. If a coastal or cooling effect is what you are looking for, go for Grecian Blue while if a historical or timeless look is your cup of tea, go for Aged Beige. There are many other such themes and inspirations ranging from Colonial Red to Dusky Lavender. 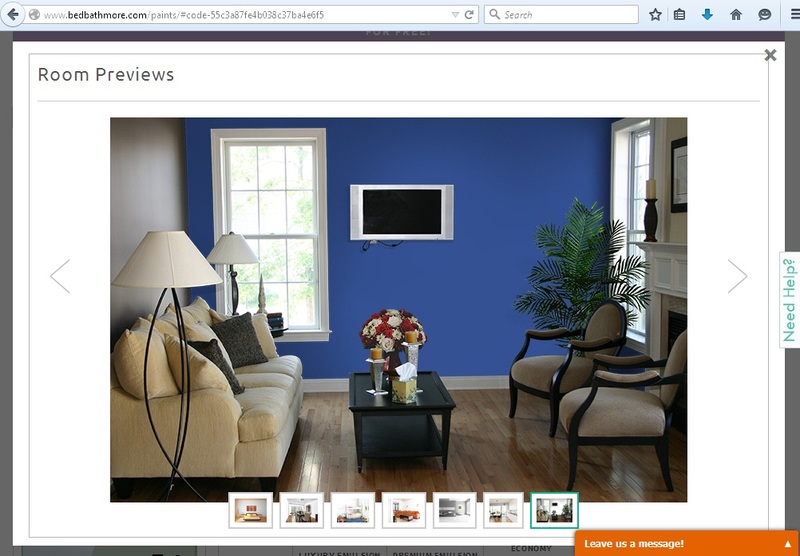 Your next stop is the Paint Finder tool. 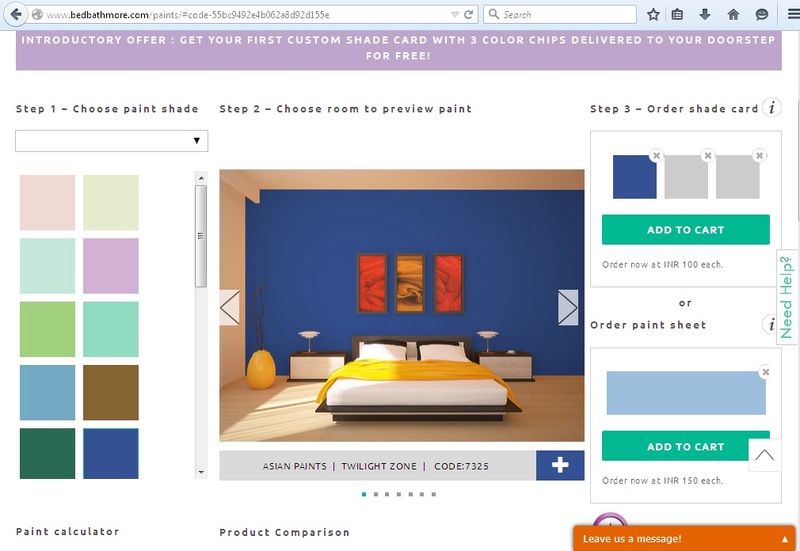 This helps you choose the right paint type for your room. It’s a three step process which begins with choosing the right paint shade. Once done, the tool helps to visualize this paint shade in various rooms of the house like the dining room, children’s room, the toilets, the master bedroom and so on and so forth. And finally once you are happy, you can purchase the order shade card and / or order paint sheet as well. There are also the options of comparing the different varieties of paint – Luxury emulsion, Premium emulsion and Economy emulsion. Moreover, you can also calculate the cost of painting your house based on the total area and the number of doors and windows. I would love to go with the dark Grecian blue shade as it brings forth a cooling and relaxed feel to the house. All in all, this feature allows you to design and visualize your own house in various colours from the comfort of your home. You don’t need to go to a shop anymore to buy a few boxes of paint and test the results. Linking to NaBloPoMo (National Blog Post Month – September – My post no 19 for this month. Yeah seems like quite a cool site and a pretty interesting and unique feature :).